Since we are still in the International of Year of Soils , another Digital Soil Science post is ready. Some of you might already know that I’m addicted to soil. As a guy who works in the field of soil erosion modelling, any kind of soil data is interesting for me and some are quite relevant. Especially soil texture and soil moisture are very crucial values about predicting soil stabilization. I showed a global soil database in a previous post, which contains many high resolution soil data. But guess what: Some more soil data is coming. This time the datasource is remote sensing which brings us back to Digital-Geography. 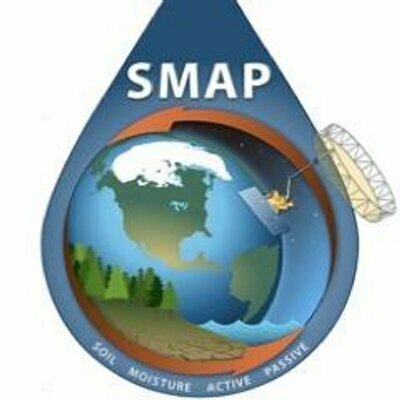 On January 29th , NASA will launch the so called SMAP (Soil Moisture Active Passive) mission which will measure the world’s soil moisture with a new and unheard-of accuracy by any other remote sensing mission with a time resolution of three days. The SMAP spacecraft has two different instruments and does two measurements simultaneous. The first instrument, a radiometer, measures the soil moisture content of the first five centimeters (two inches) of top soil on large areas but unfortunately with less spatial resolution. BUT another installed radar is responsible for high resolution measurements but with less accuracy in the soil moisture content. Both databases are aggregated and combined to high spatial resolution. The radiometer is a passive detector of radiowaves emitted by the earth ground. The strength of the emission is an indicator of the temperature of the ground in that location. So the radiometer gives the “passive” term to the SMAP. The radar instrument is the “active” term by sending radiowaves to the earth which are going to be reflected and detected again by another detector. The strength and “shape” of the echoes can be interpreted to indicate the moisture level of the soil, even through moderate levels of vegetation. Besides the soil moisture content the instrument can also differ between frozen and thawed top soil surfaces. 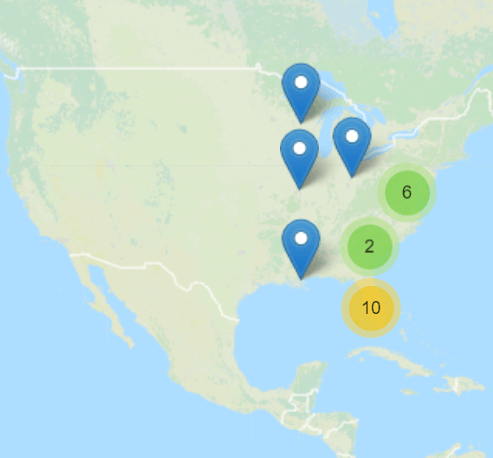 SMAP produces an average volume of 135 Gigabytes per day of science data – this is like downloading more than 30 DVD full-length feature movies every day! 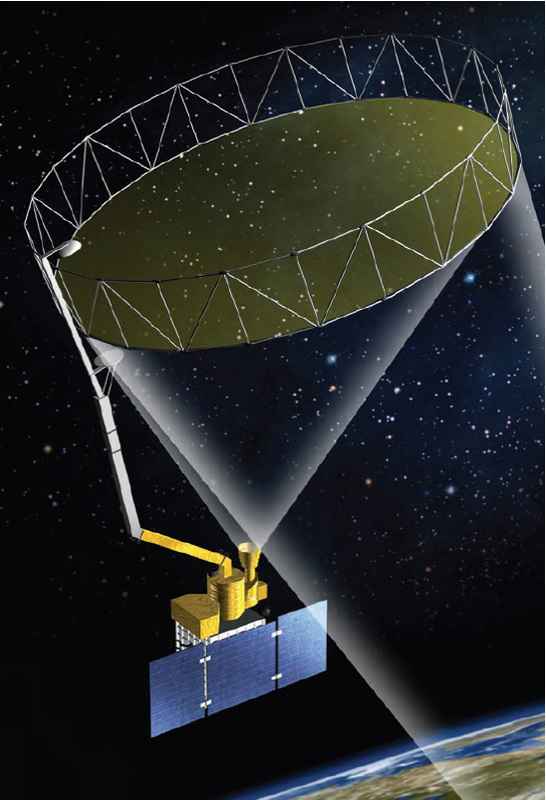 SMAP is constructed as a spacecraft with a huge, folding and spinning antenna (like a satellite dish) which has a diameter of six meters (19 feet and eight inches). Thereby SMAP contains the largest antenna NASA has deployed yet. SMAP will move in an orbit of 685km (426miles) height at an inclination of 98,1 degrees. The spacecraft will orbit the Earth once every 98.5 minutes and repeats the same ground track every eight days. The swath wide of the radiometer will be about 1000km (621 miles). Soil moisture maps will be spaced at 10 km (6.2 miles), while freeze/thaw maps can distinguish areas as small as 3 km (1.9 miles). Unfortunately it’s not clear yet if NASA will distribute the data for free. Press both thumbs and hope so. I’ll of course add the link to the livestream of the spacecraft launch on 29th of January from Vandenberg Air Force Base in California. The launch is scheduled for 09:20:42 EST.